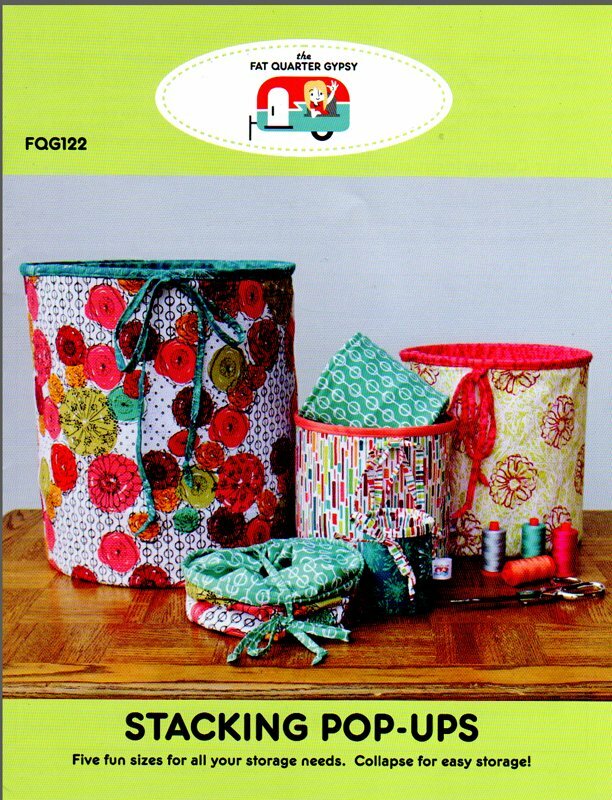 Stacking Pop-Ups Pattern from the Fat Quarter Gypsy. Five fun sizes for all your storage needs! With ties or elastic, they collapse for easy storage. For confident beginner skill level. Sizes include Extra Small, Small, Medium, Large and Extra Large. Pop-Up refill spring required and sold separately.